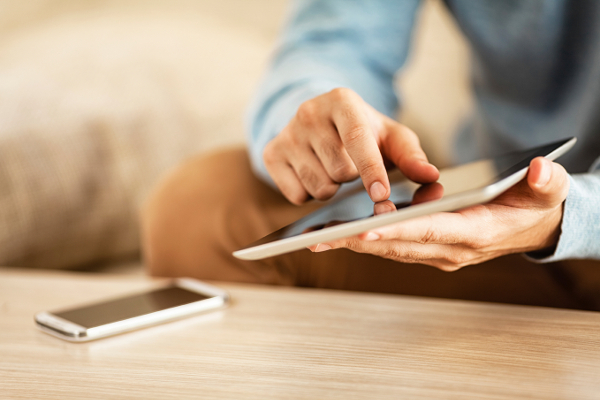 Update: See our latest report on food delivery apps for our assessment of three services on the market. Uber Eats has just launched in the capital to much fanfare. Last month, we trialled the three other food delivery services in Wellington – Delivereasy, Food Ninja and Menulog – with Delivereasy our three-person taste test panel’s literal hot favourite. With the new arrival, we reconvened our panel to size up the new service on the block. As with our earlier trial, we ordered the same four menu items from the same Indian restaurant and assessed Uber Eats for its ease of use, timeliness and reliability. Our panel rated the food – a fish curry, a vegetarian curry, naan and plain rice – on arrival. We also compared the services on price. The first thing we noticed when we placed our Uber Eats order was the higher price of the food. Comparing it to the restaurant menu, the firm charged us 90¢ to $1.60 more for each menu item – that’s on top of its $6 to $8 delivery payment. For example, the naan we ordered costs $4 through Delivereasy, Food Ninja and Menulog (and if you dine in), but $4.90 on the Uber Eats app. On the Uber Eats’ website’s frequently asked questions page, it says “prices and offers on the Uber Eats website and in the Uber Eats app may differ from prices and offers in the restaurant”. We spotted similar markups on the rice and curries. While the official Uber Eats delivery fee on our order was $6, with the markups on four items we calculated the charge was closer to $10. Deliveryeasy and Menulog’s two curries were both about 50¢ extra on the website compared to dining in. Menulog says this an error that it will address with the restaurant owners, while Delivereasy says the higher price reflects the commission it charges cafes and restaurants. Only Food Ninja charged us exactly what the Indian eatery would have. Delivereasy charges a $7 to $16 delivery fee. Food Ninja’s fee is a standard $6 per delivery, while Menulog’s fee is between $5 and $10 depending on the restaurant. Our panel found the Uber Eats website user-friendly. The ability to track your order is an added benefit. Since our last trial, Delivereasy launched a new website and app, perhaps in anticipation of Uber Eats’ arrival. Although the three other services offer a specific estimated time of arrival, Uber Eats gives you a half-hour block in which your food will arrive. Our delivery turned up halfway through this time window. The Uber Eats driver followed the delivery instructions we gave to the letter. In our earlier trial, only the deliveryman with the Menulog order failed to do so. Unlike the other apps, Menulog doesn’t provide its own drivers – delivery is arranged by the restaurant. 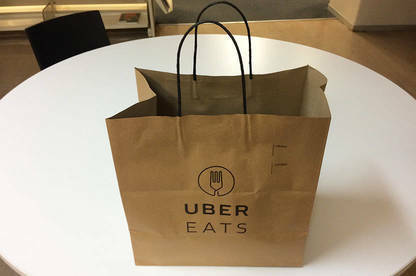 The three other services handed us our meal in a disposable plastic bag, but with Uber Eats your food comes in a branded paper bag. However, this choice – while it may appeal to the Instagram crowd – may have affected the temperature of our food. Our taste panel found the temperature of the Uber Eats naan and rice disappointing, though the curries were satisfyingly hot. One taster said of the food: “The fish curry was exceptional, but I’d rush to put the naan and the rice in the microwave”. In the original trial, our taste panel found a notable difference between the temperature of the sets of curries on arrival. The two Delivereasy curries were rated as significantly hotter than Food Ninja’s, while Menulog’s fell in the middle. One panellist said of the meal delivered by Food Ninja: “I’d want it hotter”. Food Ninja says “the driver tried his best to get your food delivered as early as possible”. Uber Eats and Food Ninja drivers are given insulation bags to use, but the only service that brought the food right to our door in a thermal carry-bag was Delivereasy. The plastic boxes containing the Uber Eats curries were wrapped in foil, as were the curries from Delivereasy and Menulog (although not Food Ninja). The wrapping, which may have been done by the restaurant’s staff, will have influenced the end temperature of the meal. With the delivery charge plus markup on the curries in mind, we asked our taste test panel if Uber Eats had unseated their previous winner, Delivereasy. But the unanimous verdict was Delivereasy again, because their priority was the temperature of the food on arrival. Uber Eats may be more stylish, but it didn’t deliver a better service than Delivereasy, our panel concluded. $6 delivery fee applied to the order. A minimum order value, which varies by restaurant, applies. $10 delivery fee applied to the order, since reduced to $8, plus item markups. No minimum order value applies. *In August 2018, we were notified that Delivereasy had suspended its Auckland operation. It plans to resume the service next year. $7 delivery fee applied to the order. A minimum order value, which varies by restaurant, applies. $6 delivery fee applied to the order, plus item markups. No minimum order value applies. Estimated delivery time: 6.00pm to 6.30pm.